The LG V30 is more than a phone with good specs (our first look and tour), thanks to LG’s focus on high-end video capture capabilities, the audio experience few manufacturers can match, and a design that rivals the best in the business. But look, we’re Android nerds and we still care about things like specs because we often base our purchase decisions off of the little things that manufacturers toss into their best devices. With the LG V30 you’ve pretty much got it all. While LG did ditch the removable battery this time around, they still knocked it out of the park with the rest of the goods. You’ve got a 6-inch POLED QHD+ display that takes up almost the entire front of the phone, Snapdragon 835 processor, 4GB RAM, 64GB or 128GB storage options with SD slots for more, dual camera setup (16MP f/1.6 standard + 13MP f/1,9 wide-angle), 3300mAh non-removable battery, IP68 water and dust resistance, USB Type-C port, wireless charging, fingerprint reader, Quad DAC and headphone jack, and Android 7.1.2 Nougat. See, it’s all pretty much there. 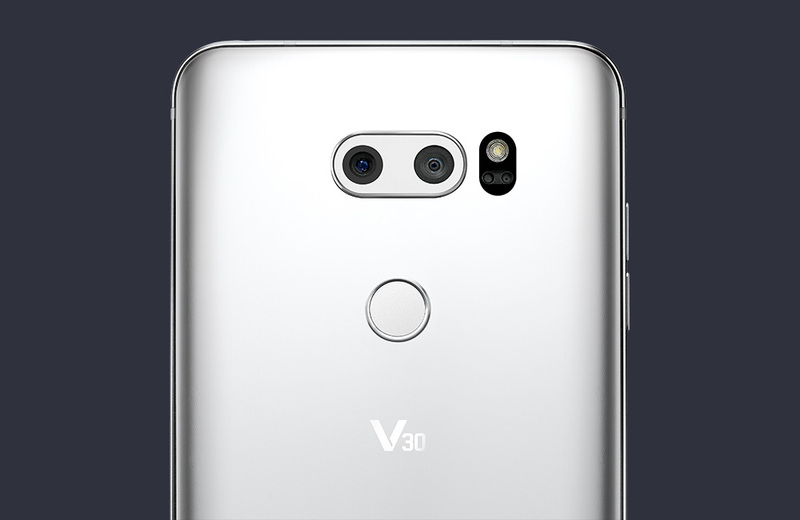 Anything missing from the V30 that would stop you from considering one? Video: LG V30 First Look and Tour!